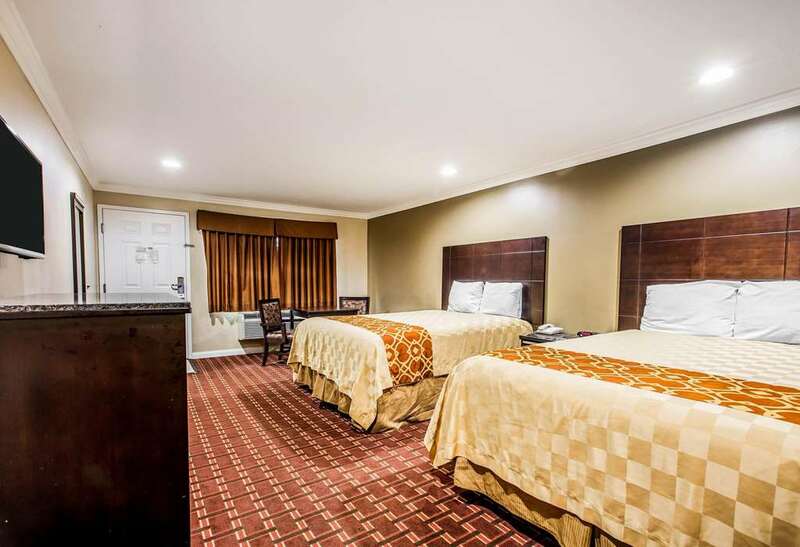 When traveling on a budget, enjoy a simple stay at the Rodeway Inn and Suites hotel in Bellflower, CA. We give our valued guests easy access to such points of interest as Cerritos Mall, Cerritos College and Disneyland. Amenities include free WiFi, free ample parking, free continental breakfast, free coffee, copy and fax services. Guest rooms feature a refrigerator, microwave, hair dryer, 32-inch flat-screen TV, desk, iron and ironing board. Also, earn rewards including free nights and gift cards with our Choice Privileges Rewards program.